It is a powerful, yet simple audio conversion tool to bypass DRM control with a virtual audio recording method. 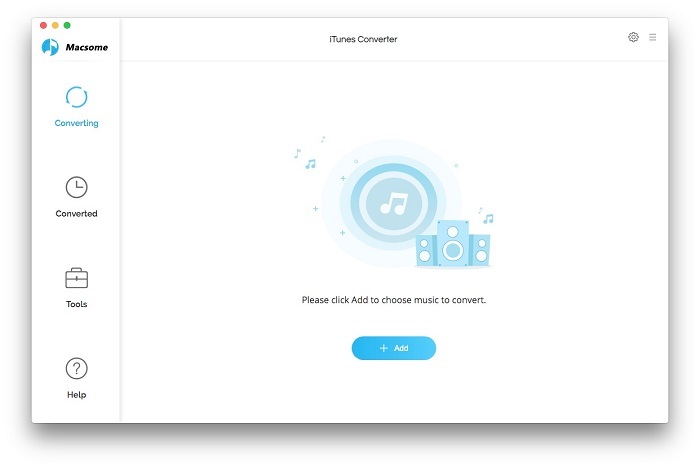 Using batch operation, Macsome iTunes Converter plays protected music tracks silently in the background and record audio files with top digital quality at speeds up to 5x. Macsome iTunes Converter is a powerful iTunes converter to convert any audio files which could be played on iTunes. The conversion is 5X speed fast, and output could be CD Quality. It's an M4P to MP3 converter, .aa to MP3 converter, audio book to MP3 converter. Support Mac OS X 10.9 and iTunes 11.1.1. To convert an iTunes audio file, you may drag it into the main window of the applicaton.